This month we are looking at chapter 7 in the gospel of Matthew. Last week we talked about prayer and the Golden Rule. This week we are going to pick it up at verse 13 with the narrow gate. 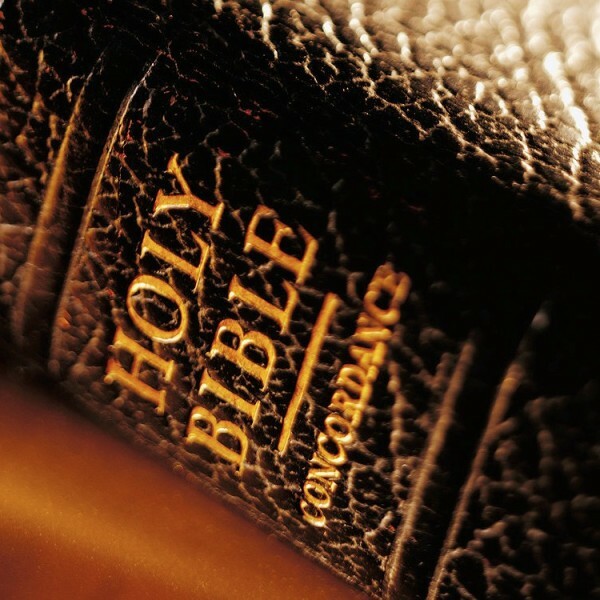 Please join me in the unison prayer as we prepare to study the word of God. Let us pray together. Lord, upon the pages of this book is your story. It is also our story. Open our eyes that we may see, our ears that we may hear, our minds that they may understand, and our hearts that they may be transformed. In Jesus’ name, Amen. Jesus is continuing his Sermon on the Mount here in chapter 7. He just finished last week with the Golden Rule, “Do unto others as you would have them do unto you,” and he continues in verse 13. So, out of the seven billion people on the face of the planet, only a few will find the narrow gate. Now, that is a theme that is common. It’s a plot that we’re kind of used to. We’ve heard this story over and over again throughout our lives. 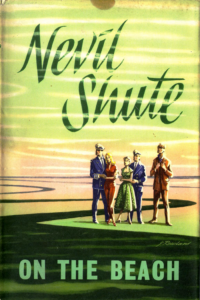 For instance, in 1957 there was an author by the name of Nevil Shute, and he wrote a book called, On the Beach. Phenomenal book, I would highly recommend it, it still stands up today. The plot of On the Beach is set in 1963 (it was a pretty good year). World War III had just taken place, and it devastated most of the populated earth, polluting the atmosphere with nuclear fallout, and killing all human and animal life in the Northern Hemisphere. Global air currents, however, were slowly carrying this lethal cloud of radioactive fallout across the globe. The only part of the earth that was still habitable is down under in Australia. There’s nothing anyone can do. It’s only a matter of time before the nuclear, radioactive cloud will get to them, and will kill them as well. They don’t know how long it will take for it to get there, or how much time they have once it does. They just know it’s coming, and it cannot be stopped. The end is near. It’s a common theme, is it not? 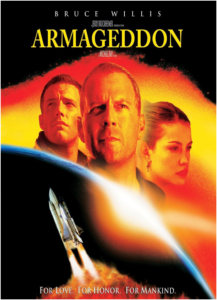 How about 1998’s Armageddon? Remember that movie? Where an asteroid is on a collision course with Earth. The resulting impact could cause an extinction event similar to what happened to the dinosaurs, and we need Bruce Willis to save the day (and a good Aerosmith soundtrack). 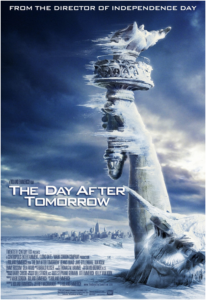 And then there’s the 2004 film The Day After Tomorrow. It talks about a catastrophic climate shift where it ushers in global cooling and leads to a new Ice Age and millions of people perish. 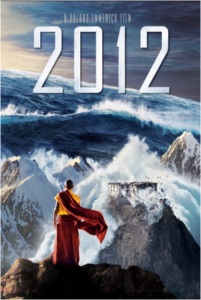 How about the 2012 film called 2012, which portrays a fulfillment of that Mayan calendar prediction some said would be the end of the world, remember that? There were people wondering. Oh, come on, it’s just a bunch of Mayan mooha. But I wonder, you know? December 31, 2012, is that it? Then there’s one of my personal favorites, the 2018 Netflix reboot series of one my favorite shows from when I was a kid, Lost in Space. 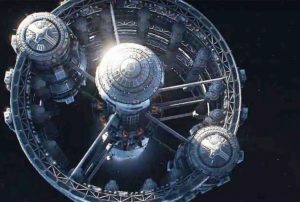 The aftermath of an impact event threatens the survival of humanity, and the Robinson family is chosen for the 24th mission on the Resolute, an interstellar spacecraft carrying selected families to colonize the Alpha Centauri star system. Wouldn’t it be cool to score one of the tickets to get on that sucker? The theme of all of these films is the same: life is coming to an end, and only a few will survive. Why do we keep telling this story over and over and over? I’ve asked this question before. Where are the films, and the books, and the television shows that say, “In the far distant future, in 2089, we are going to recreate paradise on earth. There will be no sickness, no death, no war, no starvation. Everyone will get along!” Where are those movies? It’s always this story, over and over again. On the Resolute, or maybe on one of those nine arks that they built in the 2012 movie. They have these huge, giant arks, that much bigger than the largest ocean liner, to save some people. A small number of people. There’s 7,000,000,000 people on the planet. How many people can we fit on nine of those? Not 7,000,000,000. Besides, the cost of a ticket to get on one of those babies in the movie was 1,000,000,000 Euros per person. That means in US dollars, that’s $1,168,360,789.81. Do you have $1,168,360,789.81? If you do, you’d best be making a gift to the church. But if you don’t, you’re out of luck. You’re condemned to die. So sorry. I grew up in a time when I was a teenager, a younger teenager, a tween, during the Cold War, where nuclear war with the Soviet Union was highly possible. You never knew, day to day, when the USSR might launch an ICBM, or when the United States would then have to retaliate. It wasn’t something you lost sleep over, so to speak, but it was possible. It was on your mind. We heard all the stories about what Nuclear Winter would look like, and how few people would survive such an exchange. That’s why the On the Beach book resonated with me. I grew up during the time of Mutually Assured Destruction – that was our military philosophy, make sure we have enough nuclear weapons to respond so viciously that it would cause the end the earth – and that response will inhibit the Soviet Union from launching first, because they know the response would be the end of it all. That was the strategy, Mutually Assured Destruction. So, On the Beach resonated with me. How many people do you know got caught up in that whole Mayan calendar thing in 2012? No, it’s a bunch of hobo jobo! But then again, what if it’s true? What if on New Years’ Eve 2012, that’s it? How often do we hear in the news about an asteroid passing really close by to the earth? What happens when one of them hits? We go by the way of the dinosaurs. That’s why before he died, Stephen Hawking, and Elon Musk are big proponents of building rockets to colonize other planets. We’ve got to leave Earth, because it’s dying, we’re killing it, and someday it’s going to get hit by an asteroid. Now, I’m a simple man. I don’t quite understand – if we leave this planet and go to a different planet, why there’s a less chance of a catastrophic climate event or getting hit by an asteroid in that other planet as there is on this planet. I’m not sure of the math. But nonetheless, they believed that we need to leave, like Lost in Space, we’ve got to go, because one day there will be an end. And that’s a reality. One day there will be an end. And end to our lives – we’ll take our last breath here on earth – or an end to it all. So, I tend not to worry about all of these other scenarios, because I believe the lord, and when the end does come, you won’t be wondering about it. “Oh, I wonder, is this it?” No! When the stars fall from the sky, it’s going down. But until that point, don’t lose any sleep over it. So many people love these stories, watch these movies and television shows. I do. But fewer like to talk about this one [the Bible], because this one’s true! It’s easy to watch 2012 in the movie theater, because you know Bruce Willis isn’t going to save anything, it’s just a cool flick. This hits a little closer to home, because this is not fiction. Jesus will one day send his angels to gather his chosen ones. The question is – for all of us – will you be taken? Will I be taken? Will people we love and care about be taken, or will they be left behind? My good stuff compared to perfection, compared to Jesus, compared to what he did, is like a filthy rag. It’s not even close. So, people who are telling you that as long as you’re basically a good person who does good things, they’re lying to you. They are vicious wolves. I’ll tell you what, oftentimes you look at the people who are saying those things – look at their lives. Frequently you will not see fruit. Upon closer inspection, you will see greed, selfishness, dishonesty, rationalizing of sin. Like, since we’re on a movie kick (you know me, I love movies), who’s seen the Godfather movies? Awesome films. But it’s always weird to me that in one scene, they’re planning the destruction, the murder, of a competing family, and they’ve got it all planned out. “You hit him at this place, at this restaurant, at this time. Take this guy with you.” And then boom! The very next scene they’re standing in the church in front of the priest, going to be a godfather to a little baby who’s going to be baptized! And I’m sitting there going, what? You know a tree by its fruit. A good tree can’t produce bad fruit. What they’re thinking is, as long as I do good things; as long as I show up to church; as long as I check that block, I’m going to be fine. The fact that yesterday I was planning the death of a dozen people – I’m coming to church today! I’m going to be fine! People who tell you that – pastors who tell you that stuff – are going to be thrown into the fire. And you do understand, I’m sure you do, in Matthew when Jesus says every tree that does not produce good fruit is chopped down and thrown in the fire, that the fire is a euphemism for hell. You get that, right? The folks that tell you that stuff, that do that stuff, are going to be thrown into the fire – not just because of their own choices – but for deceiving you, for trying to lead you astray. Look, the truth is there are consequences. Nobody likes to talk about it. Nobody likes to hear about it. But someday, an asteroid will hit earth, a nuclear weapon will go off (most likely not from Russia nowadays, but from some rogue terrorist nation will sneak something in), it’s possible. And then, it will all be over. One of these days, one of these movies will become true. When that happens, everyone will call out for God, won’t they? I know there’s an image in my mind that really rattles me, because I never really thought about it for a long time. But you know the Noah story, right? Noah’s building an ark. Keep in mind, it had not rained yet. No water had fallen from the sky since the creation of the earth, and Noah’s living in the desert and he’s building a giant boat. He was getting mocked, he was getting ridiculed, he was getting persecuted… until it started raining. Imagine. Just put yourself in those shoes for a minute. You’re out there, you’re making fun of Noah and his sons, they’re building this wooden craft in the middle of the desert, and you’re calling them all kinds of names and then something hits you in the head. Why is water coming from the sky, that’s never happened before. The image that gets me, is at what point did they begin to realize, did the lightbulb go on – maybe Noah was right! At what level did the water rise to before they all ran to the ark and started pounding on the side? Noah! Let us in! Can you imagine being Noah and his family on the inside, hearing people pounding on the ark? Let us in! Look at all the good stuff I did! Check out my resume! Don’t try checking blocks. Don’t try earning your way. All you have to do is believe in the one he has sent. Once you truly believe in the one he has sent, you won’t be able to stop yourself from doing good things. It will just become a part of who you are. But believe in the one he has sent. I cannot talk a good enough game, I cannot do enough good deeds or give enough money to enter in through the narrow gate. No one can come to the Father except through Jesus, so please, do not leave your family, your friends, your co-workers, people you love… “Livin’ easy, livin’ free, season ticket on a one-way ride…” Don’t leave them on the highway to hell. Share with them the truth that is Jesus Christ. The highway to hell is broad and many choose that way. 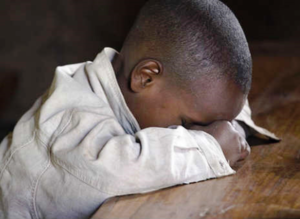 Tell them about the other way, the only way, the only truth, the only life that is Jesus Christ. Look, I know it’s hard. That’s why I chose specifically for my doctoral project to implement an evangelism ministry team here. Why? Because it scares me to death, and I wanted to get over it! So, we did some training, we finished it last week. Wednesday we went out for our first time. Four of us went downtown behind the statehouse to the bus station, handing out cards. “We’d like to invite you to church! If you have any questions there are free answers in the videos on the back!” Jordan was a superstar! Michael Serrano was a superstar! Bob Surmolian from the first service was a superstar! Pastor Adam choked. I did. I didn’t hand out one. Kicked myself all day, all night, the next day. It’s hard, I know it’s hard. Don’t think because I get to stand up here it’s easy. It’s not easy. Please – one day the end will come. I don’t know when, I’m not going to lose any sleep over it. I’m going to be fine. I know where I’m going. Are there people in your family, are there people amongst your co-workers, are there people who are your friends that you can say you’re not sure? Just say, “Hey, I’d love to invite you to my church. If you have any questions, there are some video answers on the back, you can look them up on your own time.” That’s it! It’s that easy! (And it’s that hard). But I’m telling you, there’s not going to be any more arks. There’s not going to be any more spaceships. The stars are going to fall from the sky, and the only ones who believe in Jesus will be saved. And I mean, not just believe in him, that you know who he is. We have to trust in him. Let me tell you quickly the difference between belief and trust. Have you ever heard the saying, “A man who is his own lawyer has a fool for a client.” If you’re going to defend yourself in a court of law, and you do not have a law degree, there is a word for that – which I can’t use in church! That’s just dumb! Ask yourself, “Is that my plan? Am I going to stand before the Lord on judgment day and try to present my own defense?” “Hey, Lord, look at my resume! Look at all the good things I’ve done, all the righteous deeds, all the filthy rags.” Or, am I going to trust in Jesus to plead my case? Is he going to stand up and give an account for me? The question is, when Jesus stands up, will he look at me and say, “I don’t know you. Get away from me, you who broke all of God’s laws.” Or will he say, “Hey, I know you! You sat in the sixth pew on Sunday at church! And you have been talking to me (that’s what we call prayer) since you were a little kid! Sit down, don’t worry about a thing. I’ve got your back. Trust me.” That’s the difference between belief and trust. We want to trust in Jesus to present our case. Yes, when you trust in Jesus, you have found the narrow gate, and he will open it for you. The end will not be an end, but a new beginning. And all God’s people said, AMEN!